The paper is classified as heavy weight which means it is more resilient and will take a minimum of 10 layers of pencil before the surface will begin to deteriorate. It can also be used with water soluble pencils for light washes. Using coloured pencils on black paper can really bring your art work to life making subjects appear more colourful and vibrant. The Derwent Metallic, Coloursoft and Inktense pencil ranges work brilliantly on black paper. 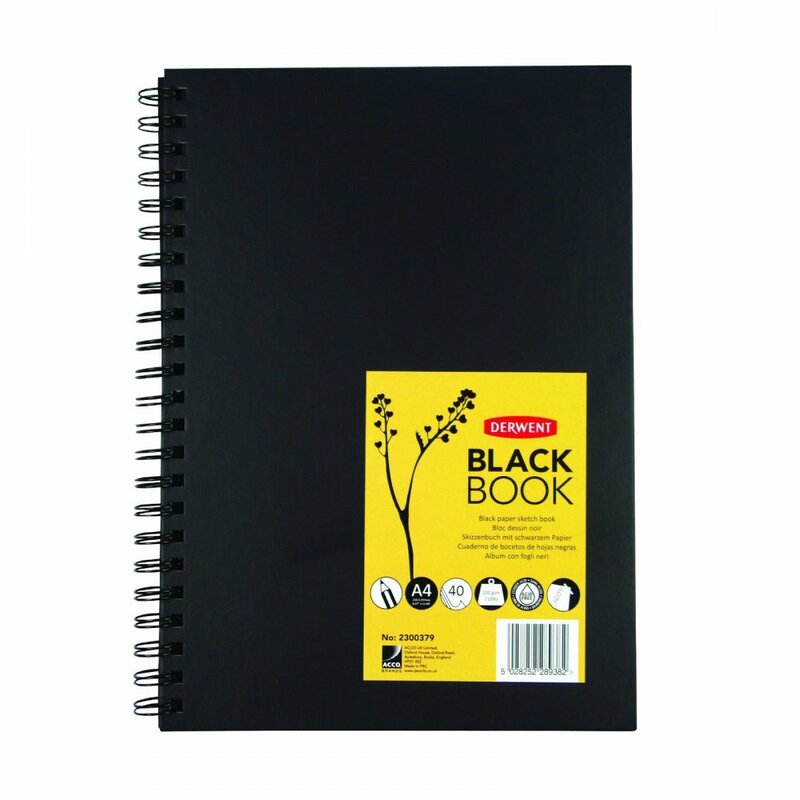 Not only are the Derwent Black Books perfect for colourful pencil drawings, the heavy weight paper means they are ideal as photo albums or for scrapbooking with the black paper acting as the perfect background for your treasured images. Each book contains 40 sheets of 200gsm black paper.